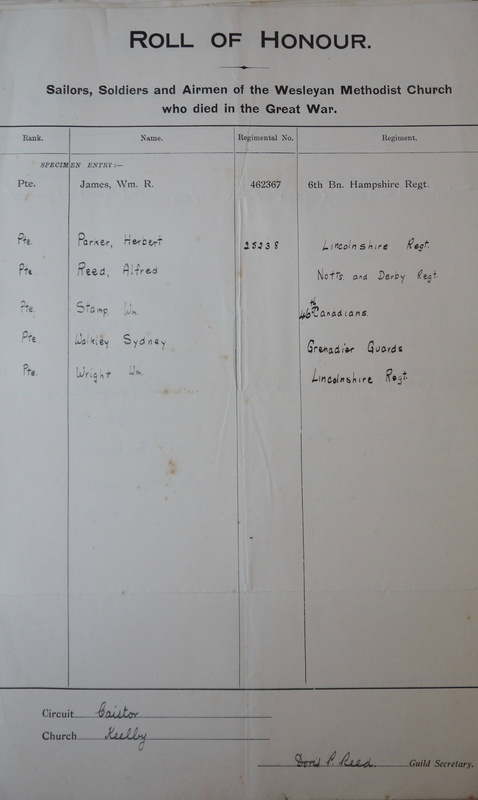 Five names appear on the document. Pte. 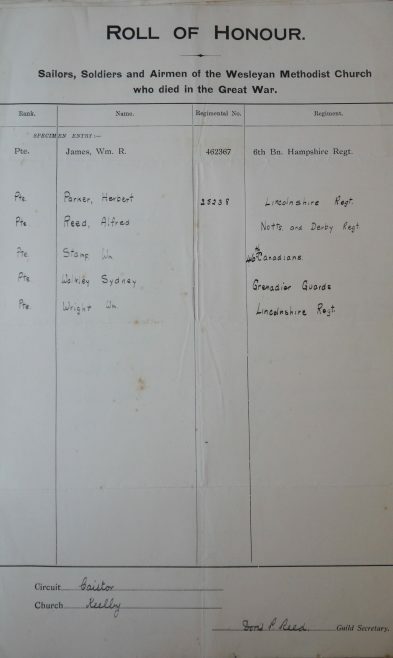 Herbert Parker 25238 Lincolnshire Regt. Pte. Alfred Reed Nottinghamshire and Derbyshire Regt. Pte. William Wright Lincolnshire Regt. Eleven men from the village died during the war. A further four are recorded as having subsequently died as a result of their service, and two young women from the village were lost when the Lusitania was torpedoed in 1915. The five names on this roll are the last five, alphabetically, of those known to have died during the war, which suggests that they are not necessarily Wesleyans. The Wesleyan Methodist Historical Roll for the Brigg Circuit, which includes Keelby, is also available online (on the My Wesleyan Methodist Ancestors site) and does not include anyone with these surnames.